Although infinitely diverse and complex in their details, sedimentary coasts nevertheless share many morphological features, which often follow surprisingly simple laws. These common features result from self-organizing feedback, which is rooted in the non-linearity of the governing hydro-morphodynamic processes. Understanding the principles of self-organization in coastal dynamics is requisite for managing the land-sea interface, for identifying working-with-nature measures for coastal protection and for restoration of coastal wetlands. Since the first edition of Dynamics of Coastal Systems appeared in 2005, a considerable amount of new evidence on coastal morphodynamic processes has become available. The second edition is a revised and updated version; major parts were rewritten and extended based on the most recent literature. In this book, feedback processes leading to self-organization and pattern generation are explored at different morphological scales, from ripples to sandbanks, beaches, bars, tidal channels, tidal flats, lagoons and estuaries. Explanations are given in text, in figures and in formulas. By considering only leading-order processes, simple relationships are derived. This approach has its limitations, but also a wide field of application, such as in identifying potential impacts of engineering projects and sea-level rise, and designing sustainable solutions. The models presented for different morphodynamic feedback processes heavily rely on earlier research by a broad international community of coastal scientists. The mathematics, in which dealing with non-linearity plays a crucial role, is cast in a uniform framework and kept as simple as possible. The book is almost entirely self-consistent. Apart from some basic physical and mathematical notions, no prior knowledge is required. 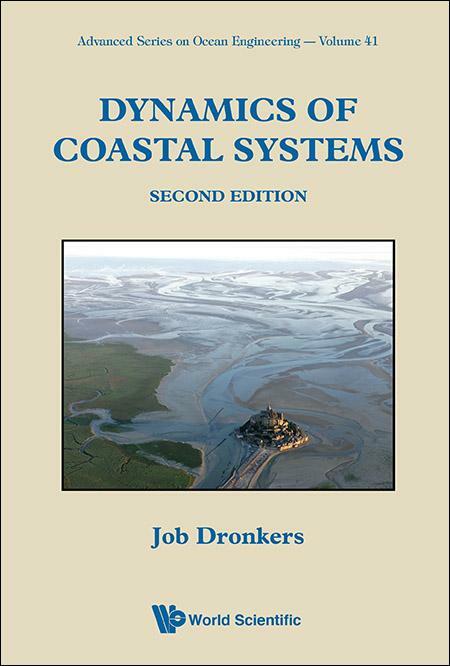 Job Dronkers has a long experience of coastal management and engineering interventions in the Netherlands. As director of coastal research at the Ministry of Water Management, Transport and Public Works, he actively promoted the transition from classical engineering to "working-with-nature" practices. He was professor of the "Physics of Coastal Systems" at the University of Utrecht (Netherlands), and lectured at the Universities of Delft (Netherlands) and Qingdao (China). He organized and chaired many international conferences, was involved in several stages of IPCC, and coordinated the European Coastal Research Network. He is chairman of the Editorial Board of Coastal Wiki and is active as advisor of governmental agencies in Egypt, Mauritania, Senegal and France for coastal management and protection issues.